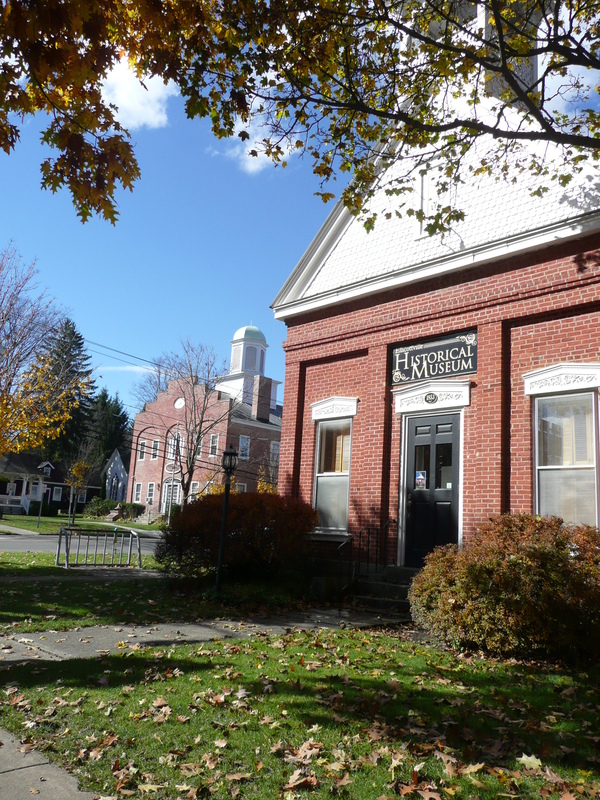 As one of the former corners of the Village Square, this site has been the location of the County Clerk's Office, a bank, a German Protestant Lutheran Church, and a millinery shop. 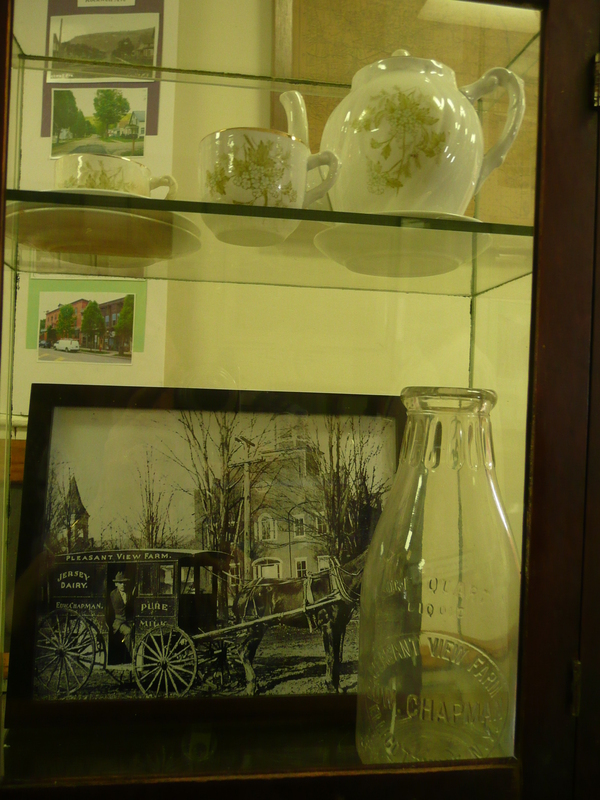 In 1894, a belfrey was added and the brick structure became a fire house for the volunteer fire department meetings. The fire department stored their firefighting equipment (man-powered) in a shed in the back of the building. 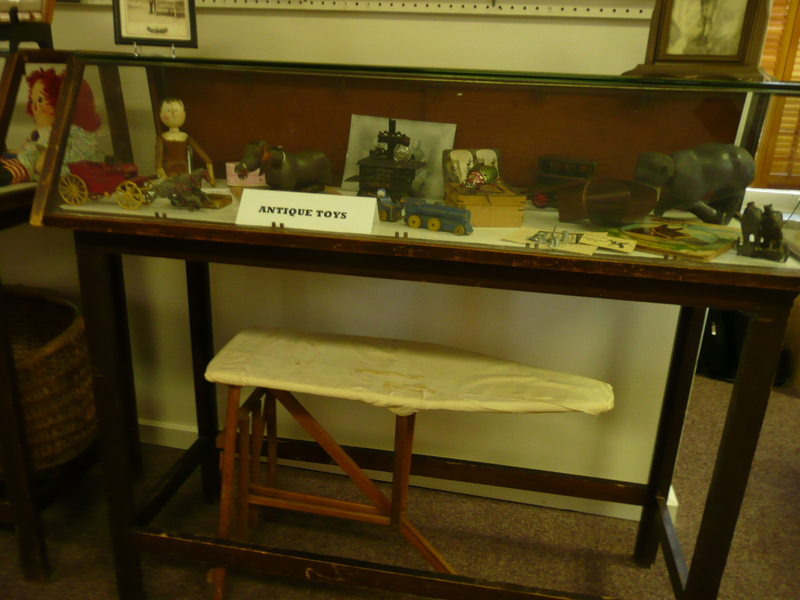 At the sound of the alarm bell, designated school boys ran across the street from the school and pulled the hand drawn pumper and hook and ladder to the fire, often arriving at the scene before the firemen. 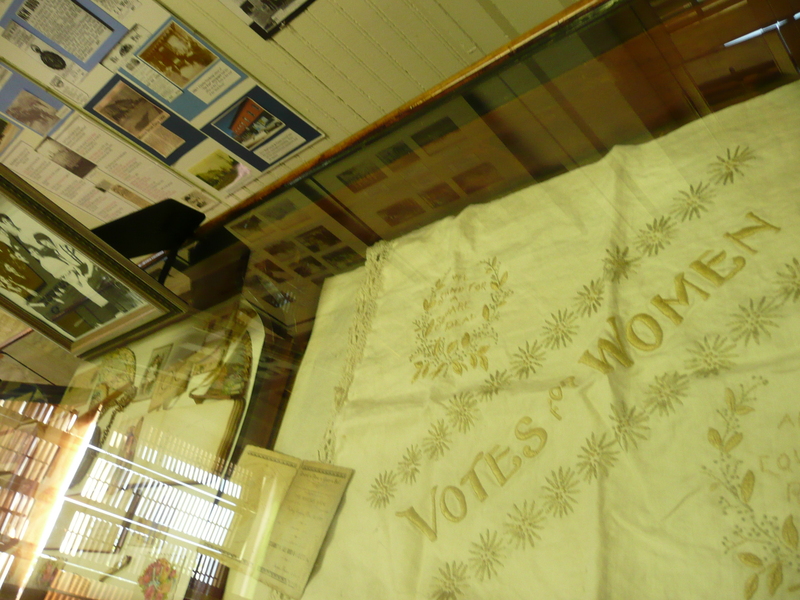 Since then this structure has served as a school with a Home Economics Classroom, and a public library. 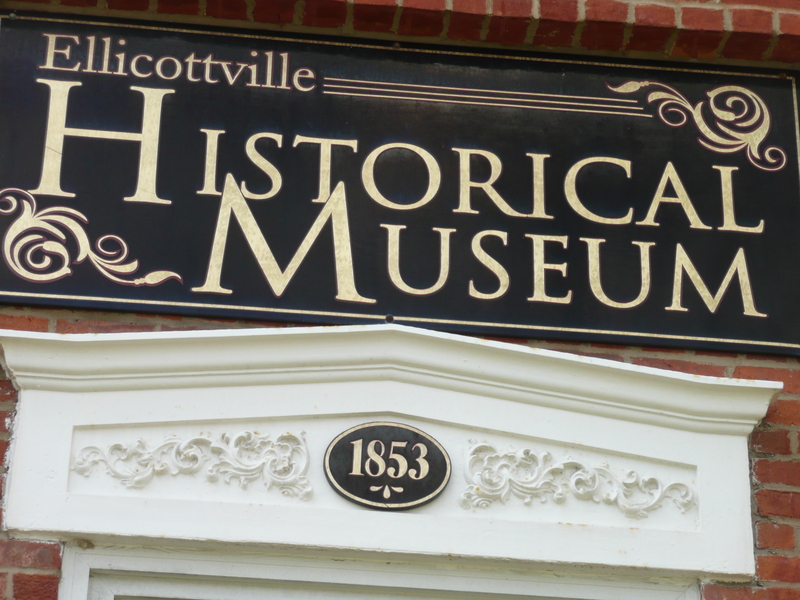 It is now the Ellicottville Historical Museum which is open June through September, Saturdays and Sundays from 1:00pm-4:00pm. 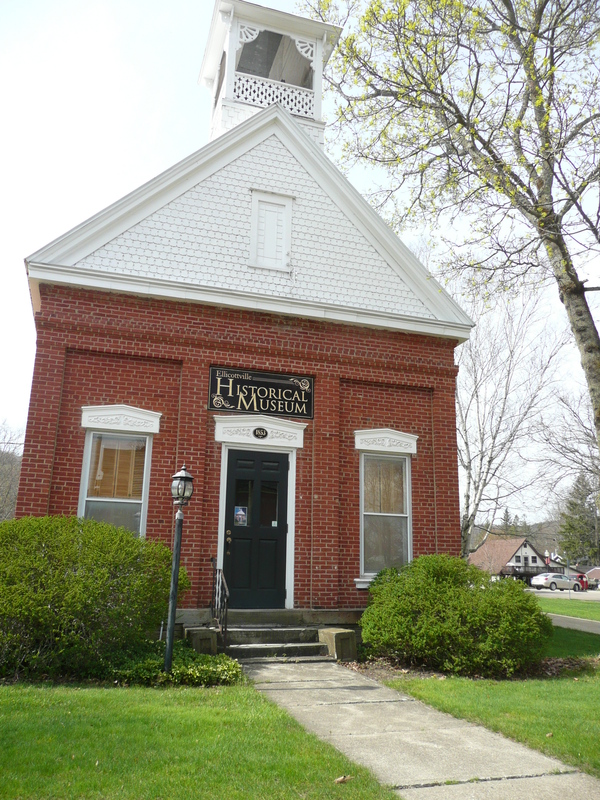 It does open for some special occasions or by appointment by calling the Historian, Mary Elizabeth Dunbar, at 716-699-2162. 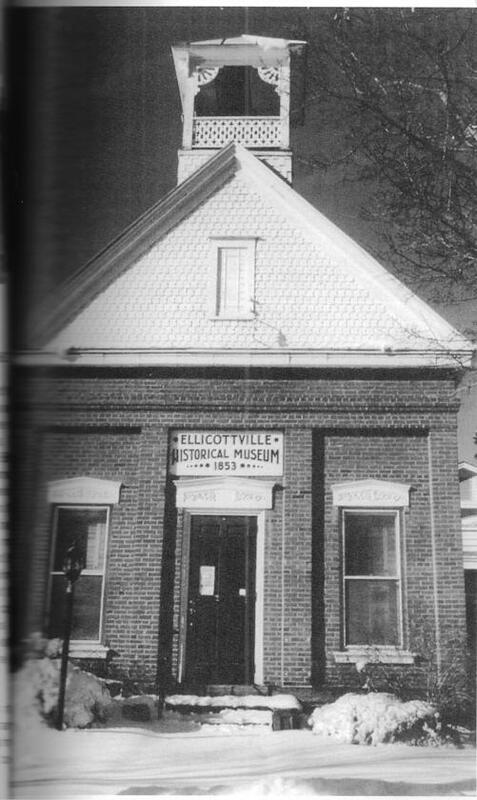 Source: "Historic Ellicottville- A Self-Guided Heritage Walking Tour through the Historic Village of Ellicottville NY".